During his absence, Industries Minister E P Jayarajan would receive donations towards the Chief Minister’s Disaster Relief Fund (CMDRF) at the Chief Minister’s office. Kerala Chief Minister Pinarayi Vijayan on Sunday for the United States for medical treatment, sources said. He left for treatment at Mayo Clinic and was expected to be back after three weeks, they said. During his absence, Industries Minister E P Jayarajan would receive donations towards the Chief Minister’s Disaster Relief Fund (CMDRF) at the Chief Minister’s office here, a release said. Vijayan, 73, had Saturday called on Governor Justice (Retd) P Sathasivam and briefed him about his trip abroad for treatment. 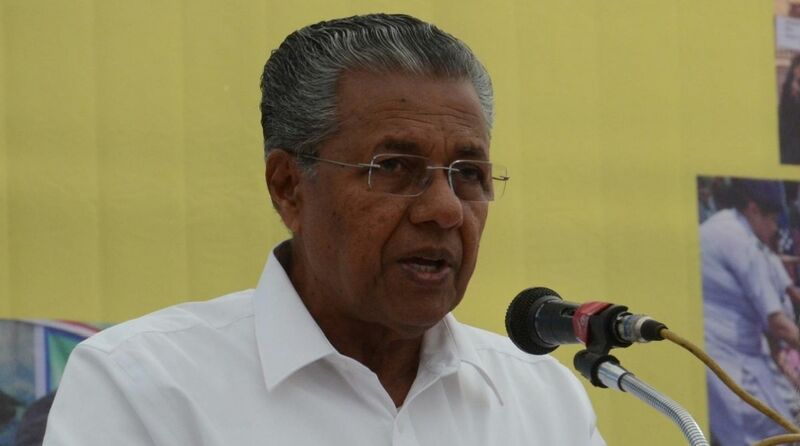 The chief minister had also updated the governor about the steps initiated by the government for rebuilding Kerala and for rehabilitation of the flood-affected people. Vijayan was originally scheduled to go for treatment on August 19 and return by the middle of this month. He postponed the trip due to the unexpected floods that ravaged the state and claimed more than 400 lives. The chief minister had undergone a routine annual medical check up at Apollo Hospitals at Chennai on March 3. Meanwhile, after floods, the southern state of Kerala is now struggling with rat fever scare with as many as 15 people reported to have died of the disease.